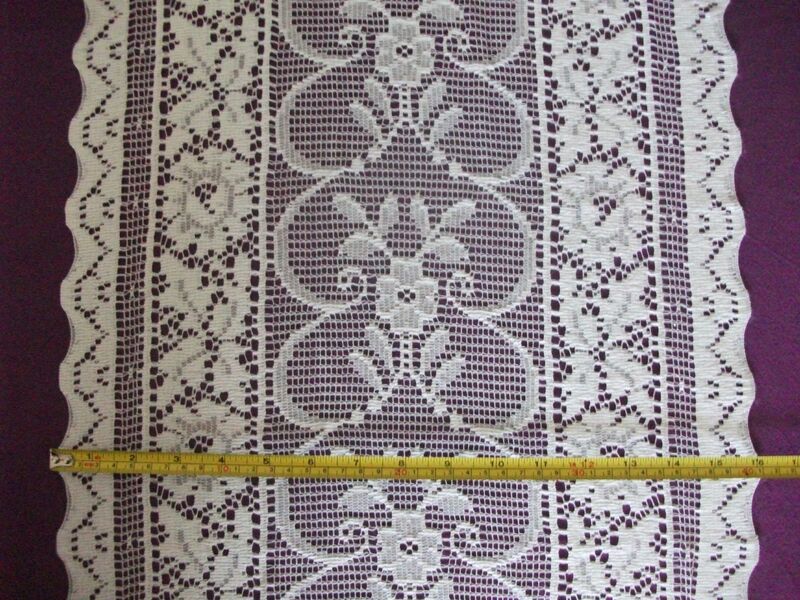 Continuous lengths of genuine vintage Nottingham cotton designer lace which is 43cms (16.5 inches) wide cut from the roll. Made in Great Britain. 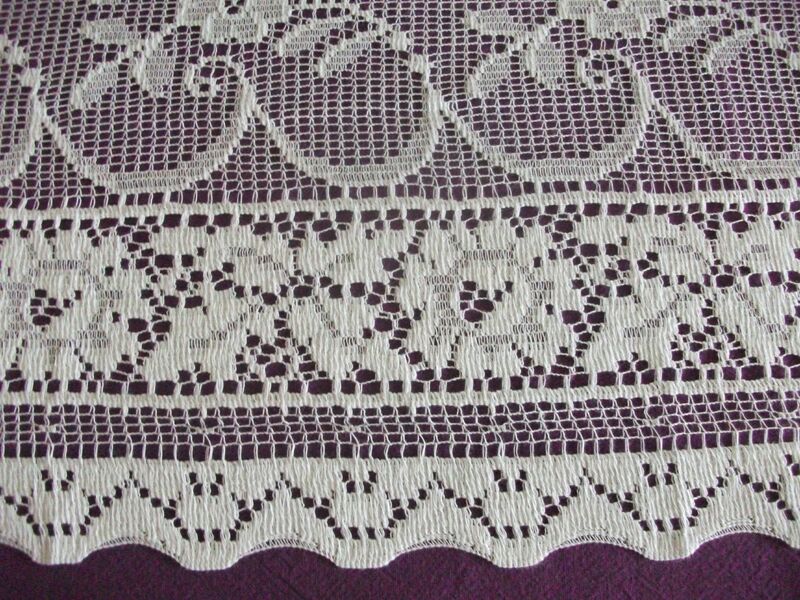 An truly elegant, simplistic, pattern with scrolls that enclose very pretty flowers. 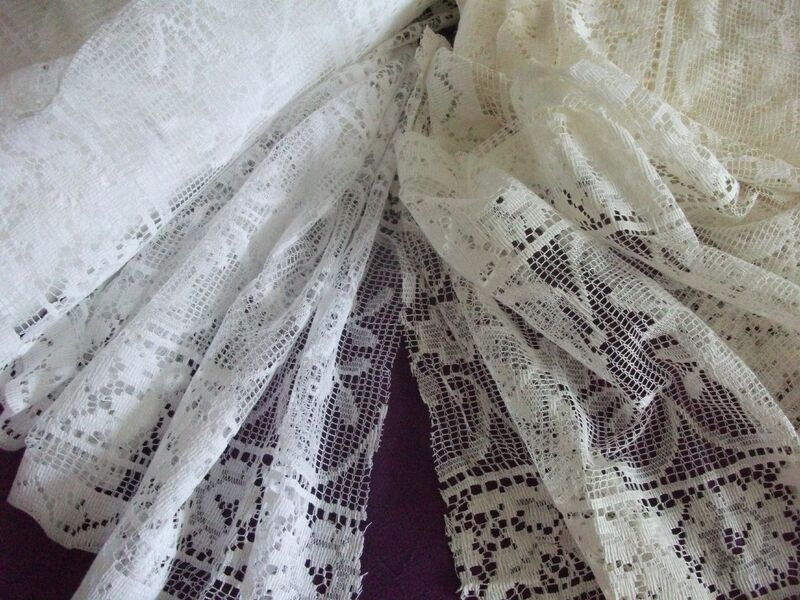 This lovely white vintage Nottingham, fine gauge, 10 point cotton lace fabric incorporates traditional scalloped edges. 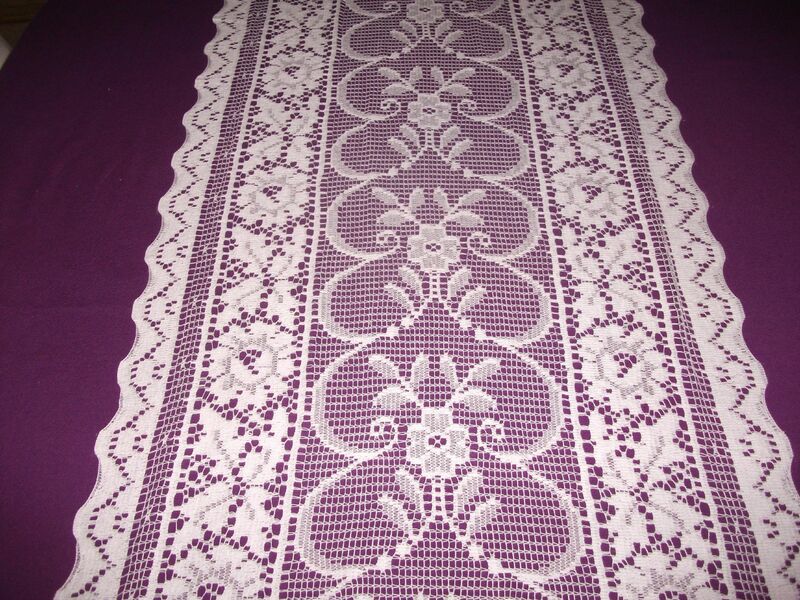 This pattern originates from around 1910, the lace being made on original Victorian looms in Scotland. 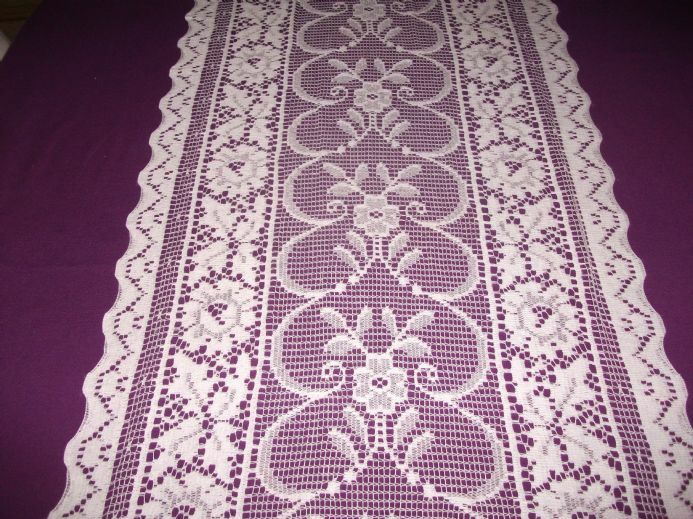 The overall width of this beautiful lace fabric is 16.5" (43cm) making it perfect for use as a table runner, sidelight curtain, wedding venue chair sashes, nursery awning, drapes or even a valance for a 4 poster bed! 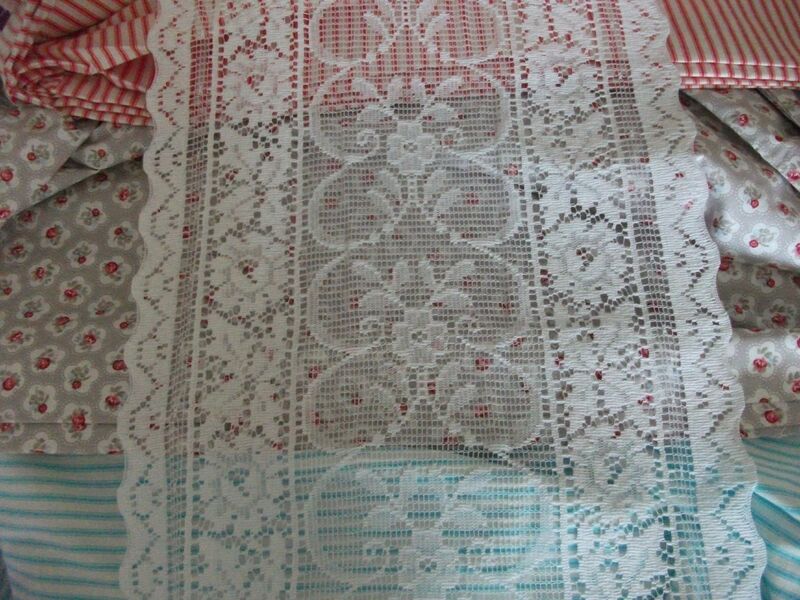 Perfect for home crafts or even to add a unique vintage style to dress design. Fibre: 95% cotton, 5% polyester. Colour available: White (Bone / Cream is also available in a separate listing). Gentle hand wash 400C.